Where mystics, artists, and visionaries don't have to explain themselves. Gifted and Sensitive Bodies- Download this Online Offering. Many of us may feel a valid fear of recurring ambush in both public and private sectors. I offer this song, a Deer’s Cry, for solace and comforting connection to deep soul. It is a ancient invoking of Christ as protector that I just discovered at a retreat at Campfire in the Heart in Alice Springs, Australia. 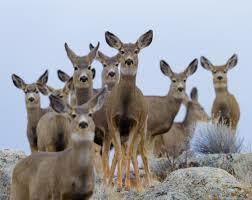 Most youtube versions of a Deer’s Cry use a woman’s voice, perhaps because the doe spirit is key to the prayer. The Deer’s Cry song was composed by Saint Patrick in 433 AD when, aware of an ambush to kill him and his group, this song so transformed them that the attackers did not see Patrick or his people, only a gentle doe followed by twenty fawns. Cofounder of InterPlay, executive director of Body Wisdom, Inc, author and coach for body and soul at Mystic Tech, helping others to listen as deeply as possible for solutions and directions by unlocking the wisdom of the body for peace, community, fun, and health. Art, writings, keynotes, online teaching, and retreat and conference leadership. Beautiful, Cynthia…thank you for sharing this. Especially meaningful today, as I deal with the grief and anger I feel about my country and its sickness, depravity, and lack of morality and compassion. Thank you, Cynthia. This is very beautiful and soul soothing. Actually, Cynthia, I’ve been finding myself called by Reindeer Mother lately, who is the ancestor card in the Wildwood deck. So this song spoke to me. This comes to me in the wake of me becoming more aware of my wounding and healing happening in me. Also more especially happening with Nature ruthlessly wounded in the name of development wounding ‘Trees, Animals, the poor and displacing them’. I just read and listened to this today; the Monday after the brutal killings at Tree of Life synagogue; the killing of two African-Americans by someone who couldn’t get into the African church to kill more; and the bombs/packages sent to legislators, former Presidents, and people who denounce the soul-killing words and actions of someone who is supposed to be a leader, and those who fall in line behind him. In searching for words to share with my congregation that are words that will bring healing and somehow plumb the depths of our woundedness. Seeking words that will unite us as we grieve, and remind us that the power of light, the power of remembering our humanity is beyond important in this bizarre time that we cannot even name adequately. The beauty of these words and the stillness of the singer and the singing do bring strength. Thank you! I really am too sensitive. Initiated by holy rage, despair and sacred hope. Ensouled Course Starting Now! How to Get Credentialed as a Creative Soul. Guideposts for the Dance of Life: What would you add? Explore spiritual direction by phone or skype. Email Email Cynthia to inquire.